Crans Montana has had a century-long tradition of health care and treating foreign patients. This is naturally not due to chance alone, indeed Swiss medicine has been at the forefront of medical practice and research, and remains a world reference for treatments and cures. It all began with Dr. Théodore Stephani who came from Geneva and established the first high-altitude clinic at the end of the 19th century. He contributed to the creation and management of a number of health care centers at the cutting edge of medical and surgical treatments until his death in 1953. With the establishment of Summit Clinic this tradition lives on. Furthermore, Crans Montana is conveniently located a few hours drive from Zurich, Geneva and Milano, and 20 minutes away from the International Airport of Sion. The resort is magnificent and the number of available activities mind boggling. A number of gorgeous five star accommodations are available, gourmet food can be found in a number of locations, and first class shopping is easily accessible. 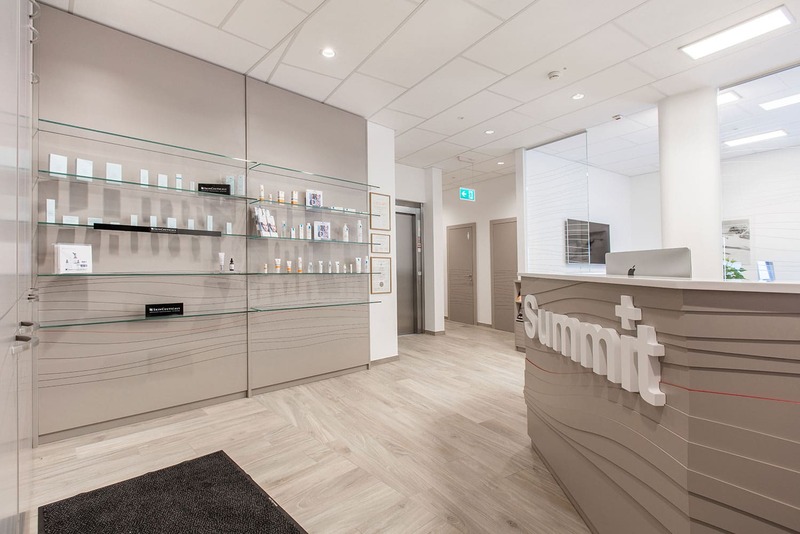 Summit Clinic is located in the heart of Crans Montana, within walking distance of these interesting locations. Our first class, bespoke luxury concierge service partner, Mirabeaulifestyle will be glad to make all the necessary arrangements, including transportation, for Summit patients.